We have chosen very exclusive and tasteful furnishings for you, with fine table linen, linen napkins and seasonal decorations. We always use fresh flowers! At all functions we offer a completely private informal atmosphere. ...is not only the life-long favourite colour of the founder, Anna Walcher. 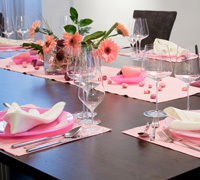 According to indian interpretation of colour, pink stands for friendship and particularly for hospitality! Think and cook pink - our pink cooking utensils (cutting boards and cooking pots) and accessories (silicon cooking spoons, dough scrapers, goggles to wear when cutting onions) makes it especially good fun! 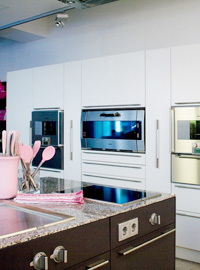 We will work with you in a modern EWE, purely household kitchen with exclusive fittings. Five cooking islands with granite work surfaces should encourage you to copy our cooking methods at home; our tips and tricks will help you to achieve the greatest effect with the smallest amount of effort. Try the high-quality models of Gaggenau's built-in appliances for yourself and become convinced! From built-in steamers to Teppan plates and an induction wok to a steam oven - the best technology is here for you to try. After cooking, together we serve the food on fine ASA bone china, lay the table with place plates from LOVEPLATES and cutlery from WMF, and enjoy fine wines from exquisite Zalto wineglasses. "We concern ourselves with YOU!" With Christof and Nurten Walcher the second generation is leading the operational business of DAS Kochwerk after ten years existence. 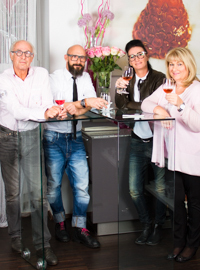 The owners, Anna & Erik Walcher personally attend all the cooking courses. YOU cook with us in small groups of 6 to 14 people. "Hands-on" is uppermost - you work with us and can try out every step for yourself. 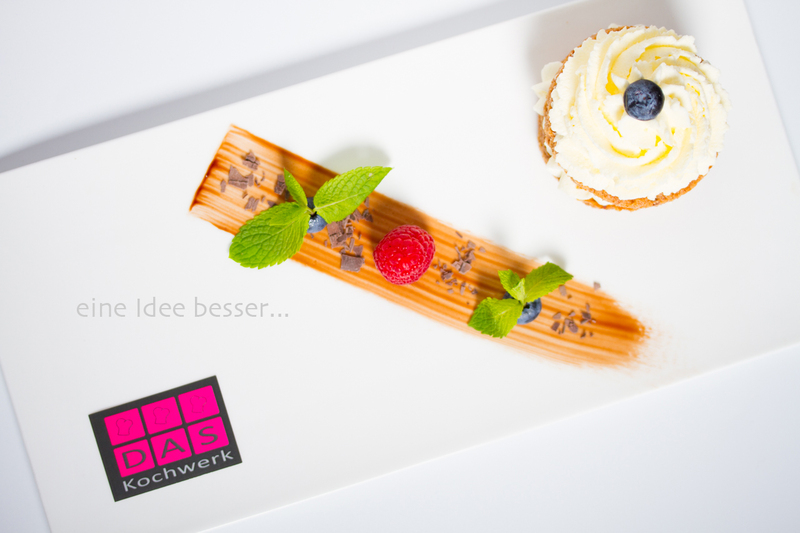 We support you when you are preparing menus for yourself and we have personally tested all the Tips & Tricks for you. The founder of DAS Kochwerk - Anna & Erik Walcher - handle the Backoffice and are pleased to provide their support for bigger events.